For only an added $800 to the cost of a base Honda CR-V LX, drivers can tack on tinted rear windows, a security system, larger 17-inch wheels and a special two-tone paint job. That’s not a laundry list of expected updates but it’s more than enough to differentiate the Special Edition model from the standard LX. Also, the $800 premium barely affects monthly payments, as that amount spread over the course of 48 or 60 months really is negligible. In other words, it’s a paltry price for the added goodies, particularly on a vehicle this lauded. To say that it’s prized would be an understatement. 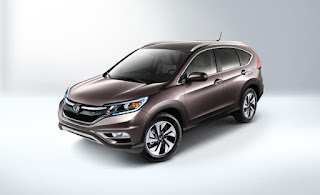 Just this past year, the CR-V has been given the ALG Residual Value Award, the KBB Best Buy Award, the KBB Best Resale Value Award, the US News and World Report Best Cars for Families Award, the USA Today Compact SUV Challenge Award and the AutoPacific Vehicle Satisfaction Award. Whatever the trim, Special Edition or not, this is a truly great and well-respected vehicle that has gotten the job done for drivers all over the country. It won’t be long before it arrives at dealerships and we’re able to conduct test drives with some of our favorite customers. From there, the best-selling SUV in America should only sell even more units.